Home Emotions and Feelings Friends listen to what you say…. 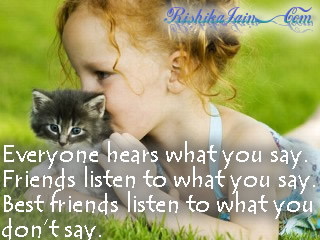 Friends listen to what you say…. Everyone hears what you say. Friends listen to what you say. Best friends listen to what you don’t say…. Isn’t this so true? – Imagine the times when you want to convey your emotions … But words just fail short ….to express the feelings …. Those are the times when the best friends can understand you completely and feel your emotions …. no words … just … ….heart to heart …. 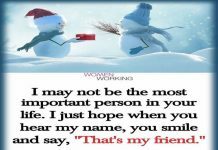 Such a Blessing to have such friends …. 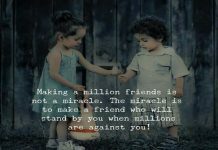 Or be one for others…..
Next articleHeart of a True Friend…..